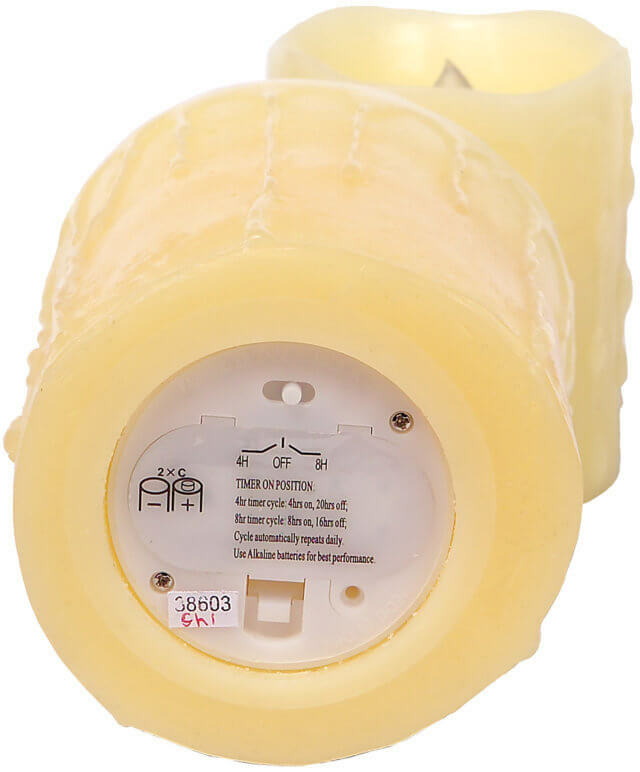 Enjoy our LED ivory dripping wax 4in x 5in pillar candles in a set of 3. 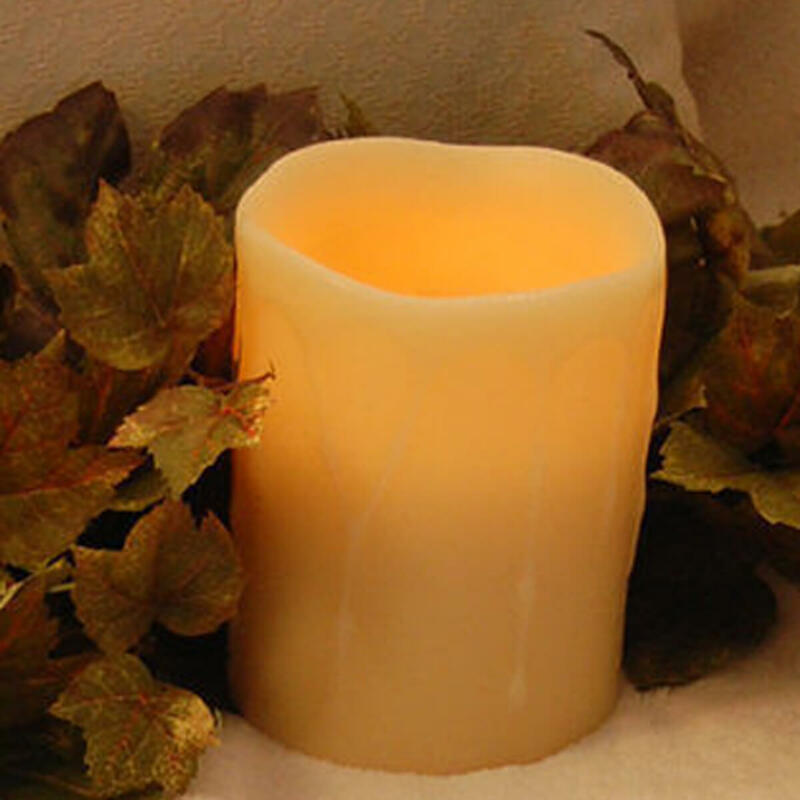 Our flameless LED candles mimic a real candle flame without heat, smoke or fire hazard. Made with real wax and require 2 D batteries, not included which result in a longer lasting flame. Simply set on the day and time you&apos;d like to turn on and off each day and enjoy. When it&apos;s time to change the batteries, the light will flicker at a faster pace letting you know you know you need to change. Depending on your battery brand, quality and whether you select 4 or 8 hours, you could potentially see 6 months of battery life.